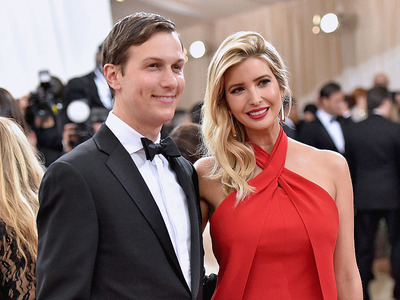 Mike Coppola/Getty Images for People.comJared Kushner and Ivanka Trump are among the many influential people who have learned Transcendental Meditation from the David Lynch Foundation. The David Lynch Foundation is the premier Transcendental Meditation organisation in the US, with members including Jared Kushner, Ivanka Trump, Tom Hanks, and the Bridgewater Associates founder Ray Dalio. The organisation teaches a simple meditation practice that federally funded, peer-reviewed research has determined to be effective in lowering blood pressure and stress. The DLF teaches the meditation free to elementary-school students and veterans with post-traumatic stress disorder. When Bob Roth went to Tom Hanks’ home to teach him Transcendental Meditation about a year and a half ago, Hanks told him he was shocked Roth didn’t have yoga pants and a man bun. Roth, 67, has been teaching TM, as it’s called, since 1972 and is often wearing a suit with no tie or a blazer over jeans. His goal, which he’s made considerable progress toward over the past 13 years, is to make meditation as normal in the US and Canada as exercise. “I think TM – I think any meditation – properly understood and practiced, it should be as normal as everything else,” he said. Roth is the CEO of the David Lynch Foundation, the namesake of the surrealist director (“Twin Peaks,” “Mulholland Drive”) who founded the organisation in 2005 to fund TM training for underserved students, veterans with post-traumatic stress disorder, and victims of domestic abuse. The DLF has also been the vehicle for spreading TM to people like Hanks, Jared Kushner, Ivanka Trump, the director Martin Scorsese, and Oprah Winfrey. About half of its New York City clients are on Wall Street, a movement largely motivated by the Bridgewater Associates founder Ray Dalio. Dalio, a practitioner of TM since 1969, is one of its foremost evangelists – calling it “the single biggest influence” on his life – and the DLF’s lead donor, contributing more than $US20 million since its founding. So what exactly is TM? The Indian-born Hindu monk Maharishi Mahesh Yogi, who received a degree in physics before devoting his life to monkhood, could not succeed his teacher as head of the monastery because of his caste. Instead, Maharishi tapped into a mid-20th-century movement of Indian spiritual teachers bringing the practice of meditation to the West. His form of meditation, which he eventually called Transcendental Meditation, was similar to the way he would meditate in a monastery, but without a religious element. In it, practitioners sit comfortably with eyes closed and repeat a meaningless mantra in their head – not to a particular cadence but as a vehicle for keeping focus from other thoughts. Maharishi declared that, in the tradition of guru and student, a teacher would teach the person how to meditate and give them their mantra, ensuring they learn the technique correctly. Sarah Jacobs/Business InsiderDavid Lynch Foundation CEO Bob Roth. The ’60s counterculture became so deeply associated with TM and other forms of meditation that only in the past several years has it become, as Roth said, increasingly “normal” to meditate. The celebrity endorsements have certainly helped, but perhaps more important has been the research from the federally funded National Institutes of Health, Harvard Medical School, Stanford Medical School, and more recently, the University of Chicago. There is now enough evidence that TM, practiced twice a day in 20-minute sessions, can lower blood pressure and decrease the presence of stress-reducing hormones. Both the American Heart Association and the Veterans Association recommend TM. For decades, critics have called TM a cult, but after I spent months learning, practicing, and researching it in 2016, I concluded that while the TM organisation has its eccentricities, the technique itself was effective. The worst thing it had going for it was that it felt like an exclusive rich person’s club (albeit with beneficiaries who learned free). The fee, which the organisation had waived for me for the purpose of research, was $US960, and a primary reason so many of the DLF’s clientele were highly paid professionals. 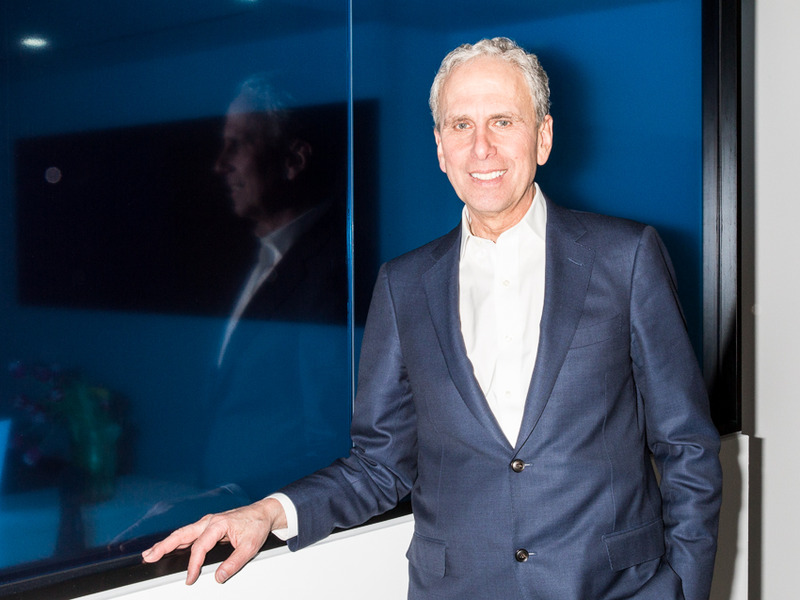 Roth told me that he recognised the criticism, and that’s why in the past year, the DLF moved to a salary-based fee system ranging from $US360 to $US960, allowing practitioners to pay in four installments. The highest tier is for those making $US250,000 and above. “We’re really doing everything we can to make it accessible to everybody,” he said. He added that if someone were willing to put in the work but struggling financially, he could find a way to subsidise the person’s fee. The other challenge he said he’s working on is increasing the number of the organisation’s teaching centres to make them more accessible. Roth said his ultimate goal – which will take care of barriers to entry for those interested in learning and expand the number of schoolkids, veterans, and abuse victims taught free – was to raise funds for Phase 3 clinical trials, which are used to state whether a method of treatment is superior to others. Roth said he wanted to see more companies follow Bridgewater’s lead and reimburse TM training, and he hopes to see the day where it can be covered by insurance. In the meantime, it’s back to making the act of going to meditate for 20 minutes as accepted as jogging or lifting weights.